If you're a little last minute like me, don't worry there's still time to surprise your Mum with the perfect gift this Mother's Day. Keep reading as I'll be talking about our recent experience at The Bentalls Centre in Kingston, along with some gift ideas you can pick up, all from under one roof. So, myself and my Mum were recently invited to The Bentalls Centre to enjoy a pamper day in celebration of Mother's Day. Our day started with a beauty appointment at MAC, located in The Bentalls store and hence the no make up 'before' photo you'll see below. We had Make-Up artists Sarah and Tanesha, who took the time to discuss the styles we both liked, along with our skin types and suitable products. I personally wanted to learn a little more about creating an eyeshadow and winged liner look. To create this look Tanesha primed my skin and then focused on the eye make-up first, this is to avoid any pigment dropping on the skin and spoiling face make-up. I learnt a fair few tips from this, including using setting spray on eye make up brushes for a more pigmented look, this meant the glitter shadow really stood out as part of this look. For me, Make Up never feels complete until I've got something on my skin. I love the dewy look that Tanesha created and will definitely be investing in some of these products to include as part of my everyday routine such as the NW20 Pro Longwear Concealer, Goldlight Strobe Cream and the Matchmaster 1.0! My Mum went for a very natural look which focuses a lot on skincare and then including a champagne shade of eyeshadow. She really loved the look that Sarah created and decided to treat herself to some of the products, including one of my favourite products -the mineralize highlighter. It was then lovely to have our photos done together with the finished looks. MAC have a ring light in the Bentalls Centre store to ensure perfect selfie lighting! Make Up ready, we then went off to enjoy a special lunch at Maison Du Mezze, also located within the Bentalls Centre Shopping Centre. The Maison Du Mezze restaurants are beautiful, I had previously done some work in the Leicester Square restaurant and shot some content for them before, also meaning i've had a sneaky taster of some of the food. I hadn't visited the Kingston restaurant before though and again the interiors are gorgeous with a Middle Eastern theme, buzzing atmosphere and open plan kitchens to see the chefs in action. We started our lunch with a glass of Prosecco. Charcoal grilled seasoned lamb cutlets, which were absolutely delicious. garlic sauce and served on a tasty flatbread. Lebanese pastry boats filled with spinach,cinnamon, onions, pine nuts and lemon juice. Made with cookies from Dubai, this creamy shake tastes and looks incredible- yes that colourful decoration is all edible too, stuck on with chocolate. Absolute heaven! The food was just so delicious, we couldn't finish everything but did take a few bits away with us too as I hate to see food go to waste. So if you're looking for an experience that'll truly spoil your loved ones this Mother's Day, I can truly say The Bentalls Centre is the place to be. 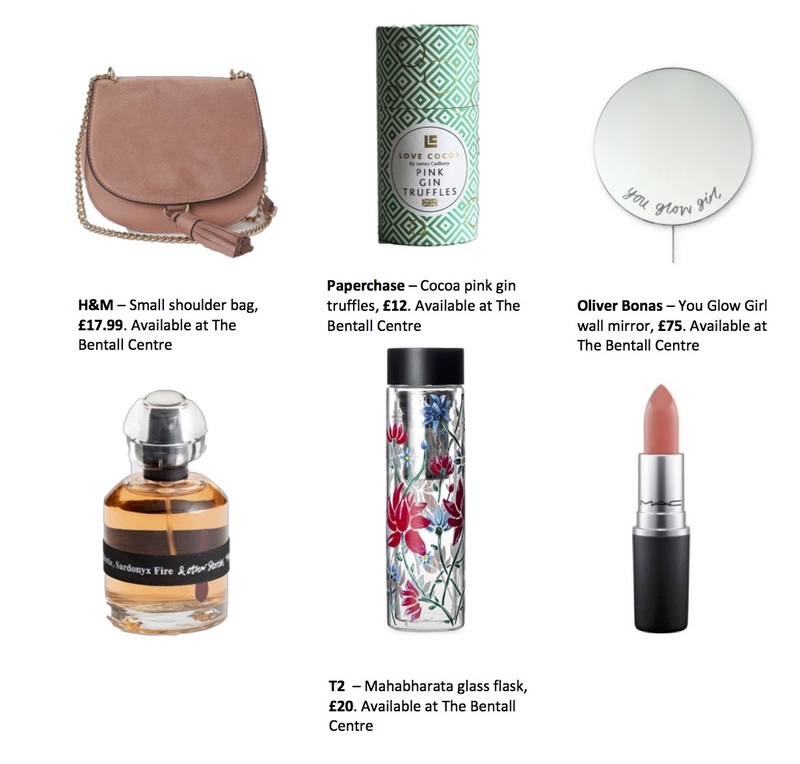 If you're still looking for a gift to give this Mother's Day, the Bentalls Centre have rounded up just a few of the perfect gifts that you can find whilst shopping in Kingston. We truly had the perfect Mother and Daughter day, thank you to all of the staff who made it extra special and looked after us. Wishing you all a Happy Mother's Day!